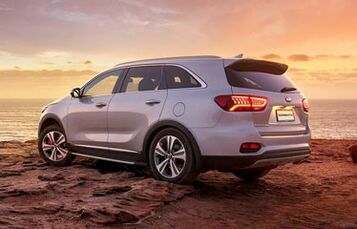 Adventure demands the will to overcome adversity, to persist against struggle – adaptation. 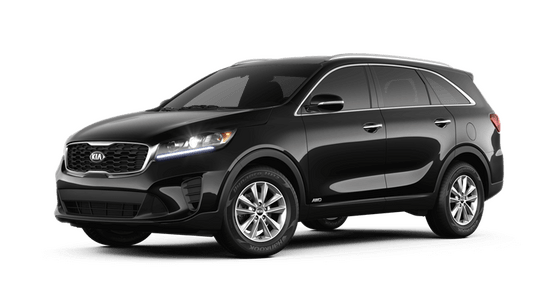 The 2019 Kia Sorento is a midsize SUV bred for adventure with all the daring and drivability required to venture forth with confidence. 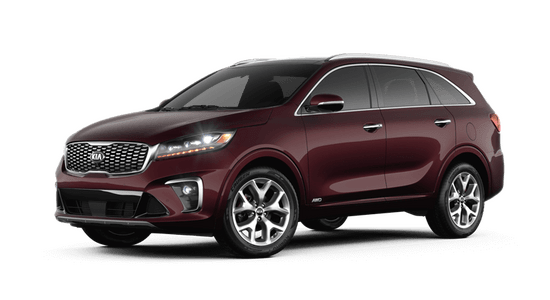 With standard room for seven and a wealth of options offered by six trim levels, the Sorento lets you choose your own adventure and who to share it with. Featuring a newly upgraded interior, the 2019 Sorento offers a modernized, spacious cabin with available premium comforts including Nappa leather seating, heated steering wheel and a panoramic sunroof for an atmosphere you can see. 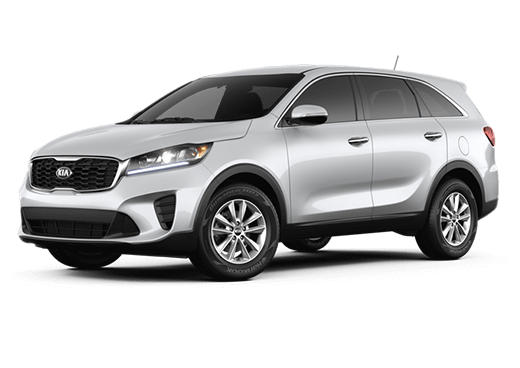 Go with for an upper trim level and feel the performance of a 290-horsepower V6 engine with 8-speed transmission. 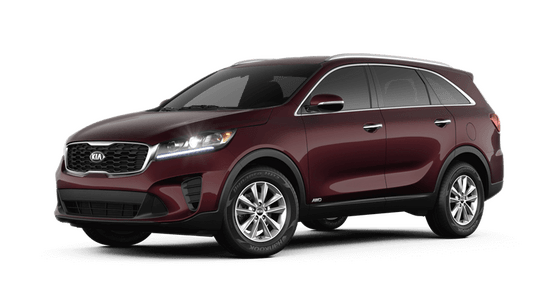 Add the available Dynamax™ All-Wheel Drive system for traction and control that adapt to changing road conditions, effortlessly taming the unknown. 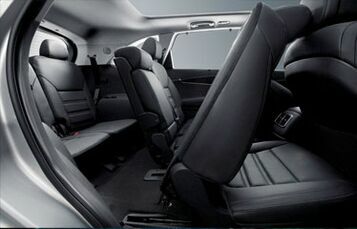 Seating that sits seven standard with sliding second-row seats for easier third-row access means more companions and fewer issues. Standard Remote Release folds down the second row while standing at the vehicle’s rear for hands-free cargo space expansion. 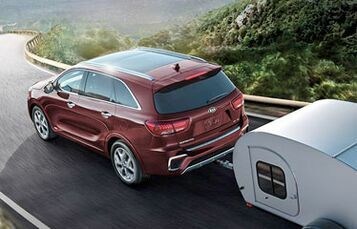 The available Dynamax™ All-Wheel Drive allows a maximum towing capacity of up to 5000 pounds for extended outings that require muscle while the available V6 engine with 8-speed transmission grants the drive, together forming a powertrain engineered to overcome. 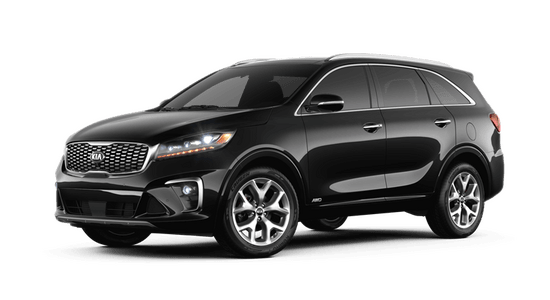 New on the 2019 Sorento, Smart Shift & Drive senses driving conditions and automatically selects an optimal drive mode. 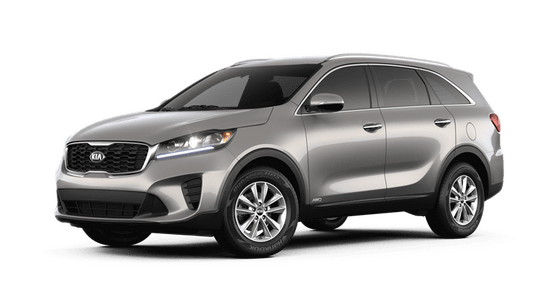 NORMAL, ECO and SPORT modes adjust engine, transmission, AC, steering and other settings for a driving experience that balance performance, conserve fuel or enhance performance respectively.